The drive to reduce costs in semiconductor and integrated circuits remains a key challenge for the industry. For example, many of today's ICs use expensive gold wiring. As a result, the industry is pushing to use copper wires and copper pillar bumping in an increasing array of applications. This has created a number of challenges related to the bonding and packaging of these components. Copper Wire Bonding Technology and Challenges is a 2-day course that offers detailed instruction on the technology issues associated with today's semiconductor packages. We place special emphasis on current issues like bond formation, bumping, and tools for package analysis. This course is a must for every manager, engineer, and technician working in semiconductor packaging, using semiconductor components in high performance applications or non-standard packaging configurations, or supplying packaging tools to the industry. Basic Semiconductor Wire Bonding Metallurgy. Participants will study the phase diagrams that are most useful to IC packaging and learn about basic metallurgy topics such as melting, solidification, intermetallic compounds, oxidation, corrosion and welding. Important Copper Alloy Systems in IC Packaging. The course presents metallurgical principles with selected alloy and materials systems that are key to the understanding and analysis of semiconductor (IC) packaging assembly and reliability. The participant will see several case studies associated with copper wire bonding. 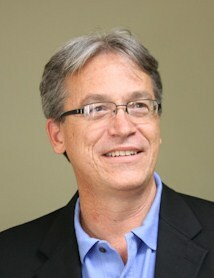 Steve Groothuis received a Bachelor's in Physics (1983) from Michigan State University and Masters in Physics (1991) from the University of Texas. He began performing semiconductor package development, design, testing, and simulation in the Central Packaging Group, Texas Instruments in Dallas in 1983 as a Group Member of the Technical Staff. Prior to leaving TI, he managed the engineering staff in TI's Advanced Semiconductor Packaging Lab. In 1997, he was a Multiphysics Industry Specialist for ANSYS, Inc., defining Computer-Aided Engineering simulation software market plans, strategic accounts management, electronics packaging, MEMS device simulation initiatives, and product development for the electronics industry. From 2000-2008, he was with Micron Technology in positions from Senior Package Engineer in the Assembly and Packaging Department to Technology CAD and Analysis Manager in the Process RD Department at Micron Technology. His responsibilities included working with device and process simulations for new cell designs, supporting most aspects of semiconductor package simulations, and assessing new technology. Currently, Mr. Groothuis is a Principal Consulting Engineer with SimuTech Group, Inc. He is actively involved in developing and winning new business opportunities for Finite Element Analysis (FEA) and Computational Fluid Dynamics (CFD) consulting projects. His efforts are focused on vertical markets such as Microelectronics, Semiconductor Packaging, Wafer Fabrication, NEMS/MEMS, Nanotechnology, Solar Energy, Wind Energy, and Consumer Electronics.